The ultra-wealthy have differing needs to ordinary folks like us. While we are always on the look-out for free travel insurance when booking our flight, they are looking to hire a private jet at a moment’s notice with their credit card. These high net worth individuals look for different criteria when shopping for credit card. According to a survey by the Luxury Institute, the wealthy are looking for a card that provides them “special access, unparalleled benefits and enhanced customer experience”. Almost everyone has heard of “The Black Card”, the most popular exclusive card out there. 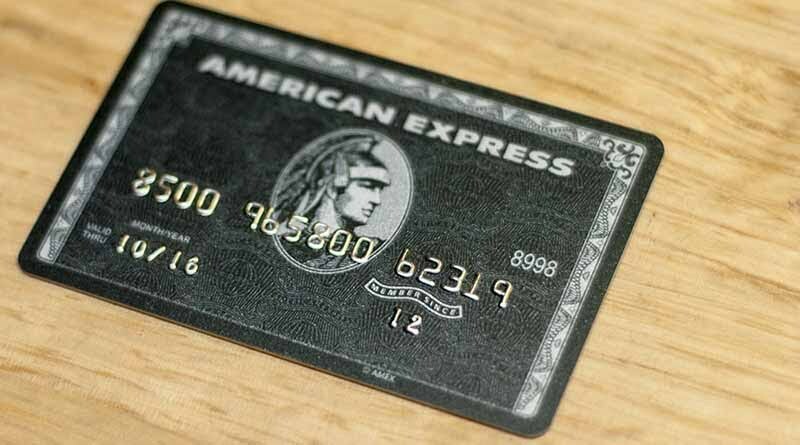 It all started with a rumour of a super-exclusive and secret high-end American Express “black card”, back in the early 1980s. Eventually, American Express decided to cash in on the rumour, introducing the Centurion Card in 1999 for only its richest customers. The card is made of anodised titanium, making the card black in colour. How do you get a Centurion Card? Well, you can’t apply for one. The Wall Street Journal reported that it’s only available to customers who charge more than US$250,000 (RM940,063) a year. The initiation fee alone is US$7,500 (RM28,203), while the yearly fee is US$2,500 (RM 9,410). Yikes! But what are the perks? Almost anything you could think of. There’s no limit on the card, so you can charge, as one customer did in 2014, HK$281 million (RM 136 million) to buy an ancient Chinese ceramic cup from Sotheby’s Hong Kong. 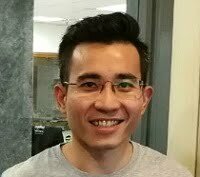 For this purchase, Liu Yiqian won 422 million American Express points, which he can exchange for “28 million frequent flyer miles or about US$180,000 (RM677,512) worth of vouchers at Hong Kong retailer ParknShop,” according to Bloomberg Business. Cardholders also get access to a whole host of luxurious things, most of which American Express keeps secret, but some details are leaked out. Some of these “secretive” things include renting a Formula One car, and concierge services. Benefits differ from country to country, but it’s safe to say that almost everything is within your reach with the Centurion Card. If you think titanium cards are too mainstream, you will change you mind with the JP Morgan Palladium Card. Launched in 2009, it’s made of palladium and 23K gold. A Bloomberg report estimates that the materials of the card alone cost US$1,000 (RM3,764). Your name and signature are laser-etched onto the card. Classy. However, this may be further out of your reach than the Centurion Card. In order to qualify for the Palladium Card, you need to have a private banker with JP Morgan, and the minimum for that is US$1 million (RM3,764,030), although Chase Private Clients can also qualify, lowering the minimum to US$250,000 (RM941,007). 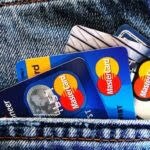 The annual fee, according to Dr Credit Card, is a whopping US$595 (RM2,239)! What are the benefits? For every dollar spent, you get one point, or two points if you spend on travel. And once you hit US$100,000 (RM376,355) in spending, you get a bonus 35,000 points. There are no foreign exchange fees, late fees, cash advance fees, or overdraft fees. This is perfect for those who want to travel like a queen, as you also get access to more than 600 airport lounges worldwide, and you can also use MarquisJet, the world’s largest fleet of private jets. There are many other benefits to holding this card, and you can cash in your points for skydiving lessons, free golf lessons with a pro, and other exclusive rewards. Also, did we mention it’s made of gold? If you are not the precious metals kind of guy or girl, you will surely be impressed with precious gems. This one of a kind card, the Dubai First Royale Card, is not only trimmed with gold, but it also come with a white .235-carat diamond smack dab in the middle of it. Ibrahim al Ansari, chief executive of Dubai First, told The National that this is “the most exclusive credit card in the world”. It’s available to members of the royal family and people who are obviously rolling in money. Not everyone can apply for these cards. You have to be invited, and the bank scouts clients from all over the world. To offer world-class privileges and benefits, the bank has partnered with Quintessentially, a luxury services company, to provide dedicated concierge services for the cardholders. “What are their needs? It’s not money – it’s service,” al Ansari said. The concierge services can provide almost anything your heart’s desire. Want tickets to the Oscars? Not a problem. The concierge service once flew a customer to Stuttgart, Germany just because he wanted to test-drive the latest Porsche. On top of all that luxuries, cardholders can also get 4% cash back on all purchases, with no annual fees. However, there is an AED7,000 (RM7,171) joining fee (as of 2011). Of course, there’s no spending limit, because if you’re the kind of guy who has a diamond in his credit card, you don’t need one. The card prides itself on its top-notch service. “You ask for the moon and we try and get it,” al Ansari said. And you can probably charge the price of the actual moon to this card. Known as the “most prestigious and sought-after card”, it was first introduced by the private bank Coutts & Co. in 2013. A charge card, the Silk Card gives access to a world-class concierge service, to help make your life easier in every possible way. From event management to flight reservations to recommending gifts that will blow away the recipient – you can count on the card. They’ll even help you hire the best tutors for your kid. Cardholders don’t need keep track of their rewards points. The bank sends you a letter requesting for you to choose the reward you want everytime you pass a spending threshold. For a taste, at £25,000 (RM146,181), you can get two bottles of Brice Bouzy Grand Cru Champagne 2002 and 2007, and at £100,000 (RM584,693), you can get private guided tour, tasting and lunch at Hush Heath Estate for two with The Vintner. This card comes with a £30,000 (RM175,408) per month spending limit, but you can always raise it by talking to the bank. The annual fee is £350 (RM2,046), which is practically a steal compared to other cards in this category. This card isn’t actually made of silk, though, but it is inspired by silk patterns from Chinese tapestries. If you think all these cards are quite out of your reach, geographically, here is something a little closer to home. 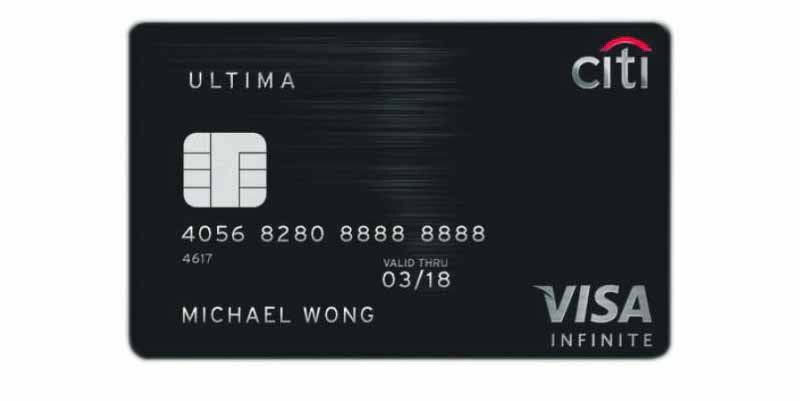 The Citibank Ultima Infinite, is offered in Singapore, India, the UAE, and Hong Kong. Like any exclusive cards, this card is invite-only for the richest Citibank clients, and is the first exclusive card to be first offered in Asia! When it was first launched, it was targeted to consumers in Singapore who were earning at least S$350,000 a year, but they changed this to consumers with minimum assets of S$5 million (RM13,955,463) when they relaunched in 2010. In Singapore, the annual fee of this card is S$3,888 (RM10,852), believed to be a lucky number. In Hong Kong, it’s, HK$23,800 (RM11,552). To cater to their cardholders’ needs, they get a dedicated Lifestle Manager each, who can help you with booking travel, getting tickets to exclusive events, and other prestigious perks. If that’s not good enough, your card will also be hand-delivered to you by your Lifestyle Manager, where he will have a chat with you to understand your needs. Based on that, they can recommend events or opportunities that cater to your interests. The benefits differ from country to country. 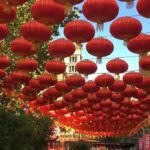 In Hong Kong, you get 120,000 Asia Miles every year, which is enough for a round-trip business-class ticket from Hong Kong to London (valued at RM27,919). And you get complimentary green fees on some of the region’s finest golf courses. Not too shabby. These cards and their fantastic perks may be dream or life goals for most of us ordinary folks. But do we really need 24/7 access to private jets anyway? Didn’t think so. For us, the regular cards with perks that suit our lifestyles will do just fine. Still have not found your dream card? Let us help you! 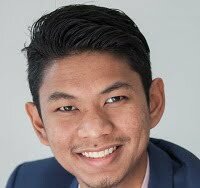 Eush Tayco is the Financial Editor of iMoney Philippines. She writes about personal finance with a special interest in investing and money management. Before iMoney Philippines, she wrote for various print publications focused on business and finance. This article was first published on iMoney Philippines.